The Tigers wrapped up their Southeastern Conference schedule two years ago by sweeping three games at Mississippi State. Those three victories resulted in LSU winning the SEC crown. But, the Tigers’ road success never showed up last season. LSU dropped all five of its SEC series – winning just four of 15 games. The Tigers lost both of their games to host team Oregon State in the Corvallis Regional last June. Earlier this season, LSU was swept in three games by Texas at Austin. The Tigers then lost their first road conference series of the season – at Georgia. So, the struggling Tigers – losers of eight consecutive series on the opposing team’s field – had to visit No. 2 Mississippi State. The trip to Starkville turned out to be the perfect medicine for LSU, regardless of the Bulldogs’ record or ranking. The Tigers lost the series opener 6-5 when a rally came up short. However, LSU proceeded to do what it normally does – win a series at Dudy Noble Field. The Tigers were in control from start to finish in both the second and third games of the series – winning by scores of 10-5 and 11-2. Coach Paul Mainieri is now 7-for-7 in taking series from Mississippi State in Starkville. In fact, LSU has not been beaten in a series at Mississippi State since 2003. The Tigers had a couple of conflicting offensive numbers in the series. LSU had a .303 team batting average, but its hitters struck out 41 times – 17 in the series opener. Four players struck out at least six times – Zach Watson (seven), Daniel Cabrera (six), Giovanni DiGiacomo (six) and Josh Smith (six). So, slightly more than half of the Tigers’ outs in the three games – 41-of-81 were unproductive. LSU was also without Cabrera in series finale due to a wrist injury. Cabrera homered in his first at-bat Thursday, but he went 1-for-7 with six strikeouts after that plate appearance. Antoine Duplantis snapped out of a nearly month-long slump by getting seven hits in 12 official at-bats. Duplantis, who scored six runs, hit a pair of solo homers in the rubber game Saturday to run his season total to seven. Duplantis had six career homers coming into 2019. However, the two offensive heroes were players who were not in the starting lineup Thursday. Chris Reid, the senior third baseman who was cut from the team during the fall, was 6-for-8 with runs scored and six RBIs. Three of those hits and three of those RBIs came in the series finale. The other offensive star was a freshman, who had hardly played this season. CJ Willis had a pinch-hit RBI double in the series opener. Mainieri then inserted Willis at first base for the next two games. He picked up a hit in each game and drove in four runs. There is no doubt who was the best pitcher for LSU this weekend. Eric Walker tossed seven scoreless innings during the deciding third game. Walker went back to the mound after waiting out an hour-plus rain delay after his first four innings. Walker allowed four hits, walked two and struck out three. Credit also needs to be given to Devin Fontenot, who backed up Cole Henry in the middle game of the series. Fontenot gave up one run and three hits in 3.2 innings to help the Tigers stay comfortably ahead of Mississippi State. After getting off to a great start, Henry gave up four runs in the fourth and fifth. There were a couple of pitching issues in the series. After two solid starts, Zack Hess was roughed up for six runs and 11 hits in 4.1 innings. Hess allowed three home runs. Closer Todd Peterson had a tough outing Saturday as he gave up two runs and six hits in two innings. 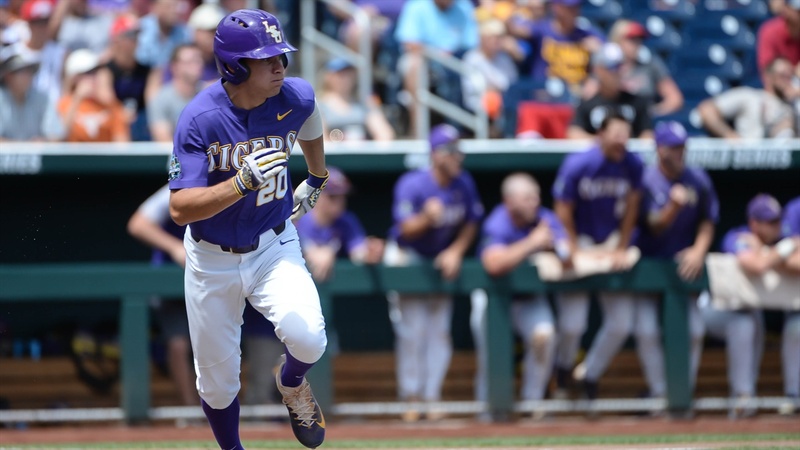 LSU has five-game week at The Box – Grambling on Tuesday, South Alabama in a makeup contest Wednesday and Texas A&M in a Friday through Sunday series. The Tigers are 6-3 in the SEC. It has been six years since LSU had a better conference record after nine games. The SEC schedule is a grind.